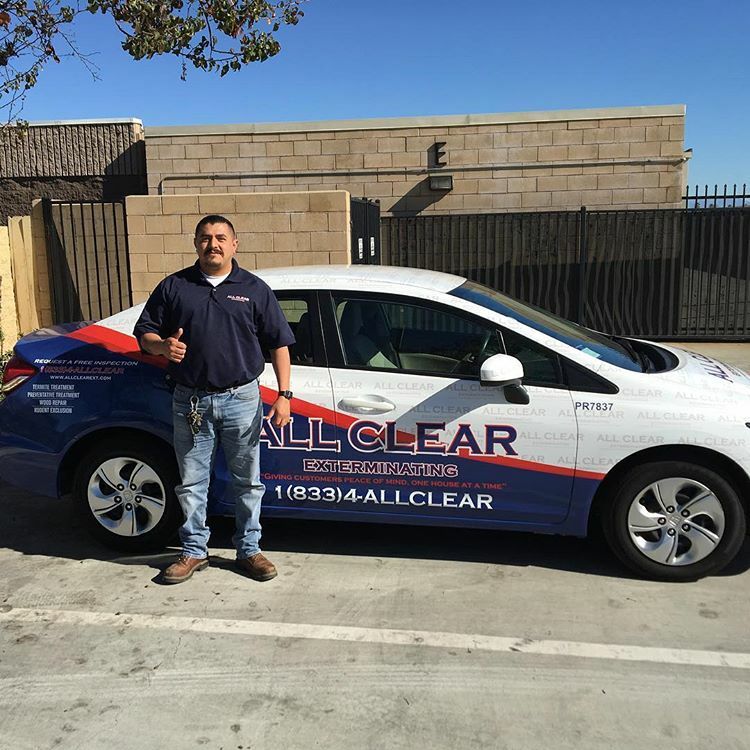 At All Clear Exterminating we pride ourselves in providing quality work and great customer service. We offer wood repair, rodent exclusions, fumigations but we also specialize in non-fumigation termite treatments. Our #1 goal is to educate our customers in protecting their home from pests. Our termite inspections are FREE with the only exceptions being escrow and refi’s. If an inspection is for a escrow/refi we will charge $199 for a experienced inspector to come out and inspect the entire property, if treatment or repairs need to be made the $199 will be applied to any work performed by All Clear. We understand the importance of building lasting relationships with our clients and we strive to exceed all of our customers expectations. © 2018 DS Eco Green, LLC. All Rights Reserved.